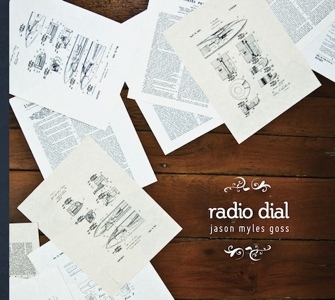 A little over a month ago I had the honor of posting a wonderfully eloquent essay by Jason Myles Goss about his song “Hospital Shirt.” I had been listening to his album Radio Dial for a couple weeks at that point, and the song really stuck out as a beautiful showcase of his writing and singing abilities. What I didn’t mention at the beginning of that article is that the rest of the album is equally good. The first time I listened to Radio Dial all the way through I thought there was something sonically askew. The way the vocals were sung, and the way the songs were structured, I thought that maybe someone had found a way to sneak me some unreleased early work by Josh Ritter. It reminded me so much of Ritter, in fact, that I wasn’t surprised in the least to find that Sam Kassirer and Austin Nevins (both members of The Royal City Band) appear on songs here. “Hospital Shirt” remains my favorite song on the album, but the margin keeps getting thinner. “Black Lights” is a great tune, and continues the tradition of singers using boxers as characters in their songs. It’s a tradition I hope never ends. On this song Goss steps out of the Ritter shadow, and he sounds only like himself. He shows a good vocal range and the song gets deeper the more you listen. 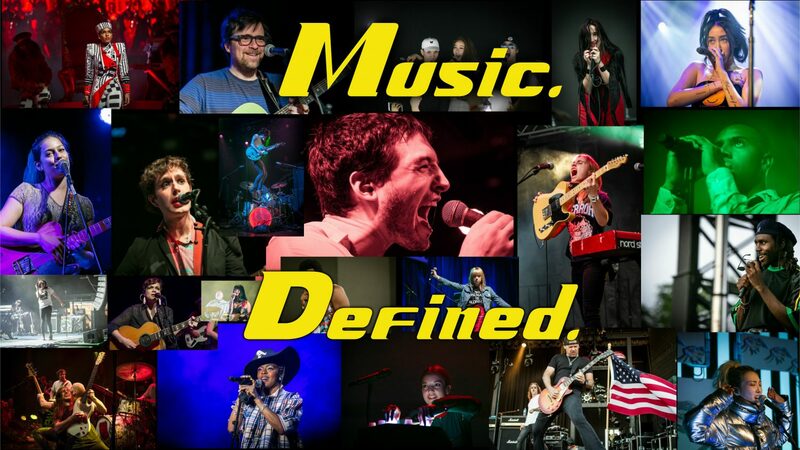 Piano, guitar, steel guitar, drums and more create a great depth that keeps me coming back. It’s also a great story song that gets you emotionally invested in the plot. I’ve often said that the singer/songwriter genre is the toughest one to break into because there are so many people doing it. To stand out you need to have a unique voice and the ability to connect with people using very little-just you and your guitar. Jason Myles Goss one of the few who do it right. I felt connected immediately, and I think you will as well. Radio Dial officially comes out on Sunday June 17th. You’ll be able to pick it up here. Jason will be heading out on a tour of mainly east coast dates starting on the album’s release date and continuing through July. He will be here in Chicago on July 15th at Uncommon Ground on Devon. I plan on being there and hope to see some of you out and enjoying the music. Pingback: Top 50 Albums of 2012: 50-26 « Music. Defined. Pingback: Jason Myles Goss at Uncommon Ground « Music. Defined.